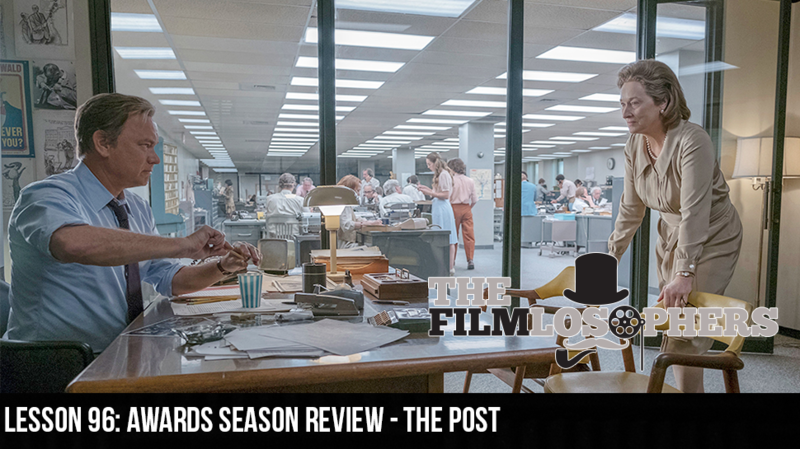 The Filmlosophers, Eddie Villanueva, Chad Riley and Spencer Williams wax philosophical about the freedom of the press with this week’s review of The Post (2017). Directed by Steven Spielberg, the film stars Meryl Streep, Tom Hanks, Bob Odenkirk, Matthew Rhys, Sarah Paulson, Alison Brie and others. The film chronicles the historic decision by The Washington Post’s first female publisher, Katharine Graham, to proceed with coverage of the classified Pentagon Papers during the Nixon administration. The choice landed Graham and the paper in the Supreme Court alongside The New York Times, and the film provides a compelling portrayal of the difficulties Graham faced as a woman in a male-dominated industry. On the docket for this weekend in theaters is Paddington 2, The Commuter, starring Liam Neeson, and Proud Mary, starring the astounding Taraji P. Henson.